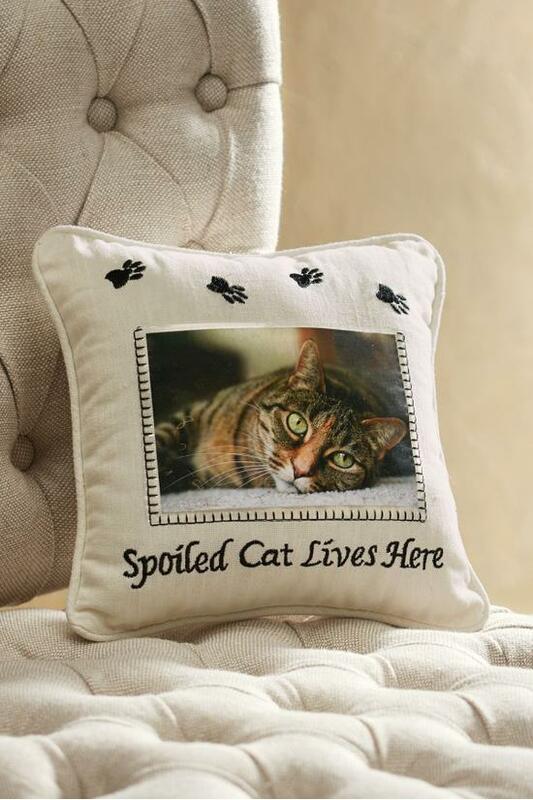 The purrrrrfect accent for your home, this charming, embroidered throw pillow flaunts a photo of your feline fur-baby, proudly proclaiming "Spoiled Cat Lives Here". Crafted of softest cotton/linen with a 4" x 6" clear plastic photo sleeve. In a versatile shade of cream. Includes: 55% linen/45% cotton. 100% polyester fill. 10" Square.